My grandmother prepared many of her roasts this way. Not sure if it’s a Sicilian thing, but she used to poke holes in the roasts and fill them with cloves of garlic and sprigs of fresh parsley. She did this with pork as well as lamb. My Aunt Phyllis and Uncle Sal would prepare their pork roast with potatoes and onions and a touch of vinegar. The flavor of their roast was amazing. I remember the many times we had dinner at their house in Paterson, New Jersey and when they served their pork roast I couldn’t get enough. From the moment I walked into their house the aroma that filled the kitchen just made me more hungry and anticipate what was coming. I put this recipe together combining the best of both their methods. 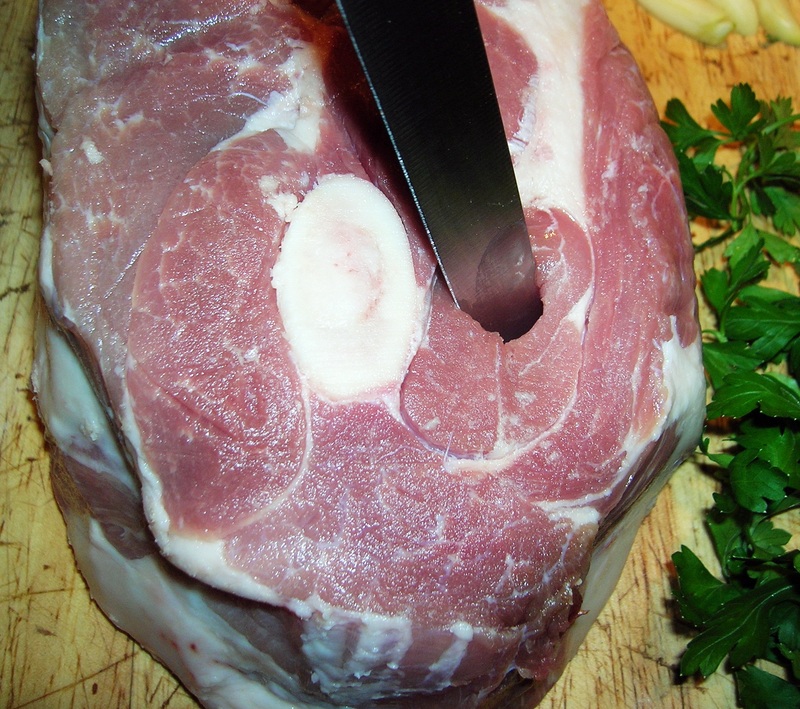 Place the pork roast on your work surface and with a long thin knife makes a hole about two inches deep into the roast. 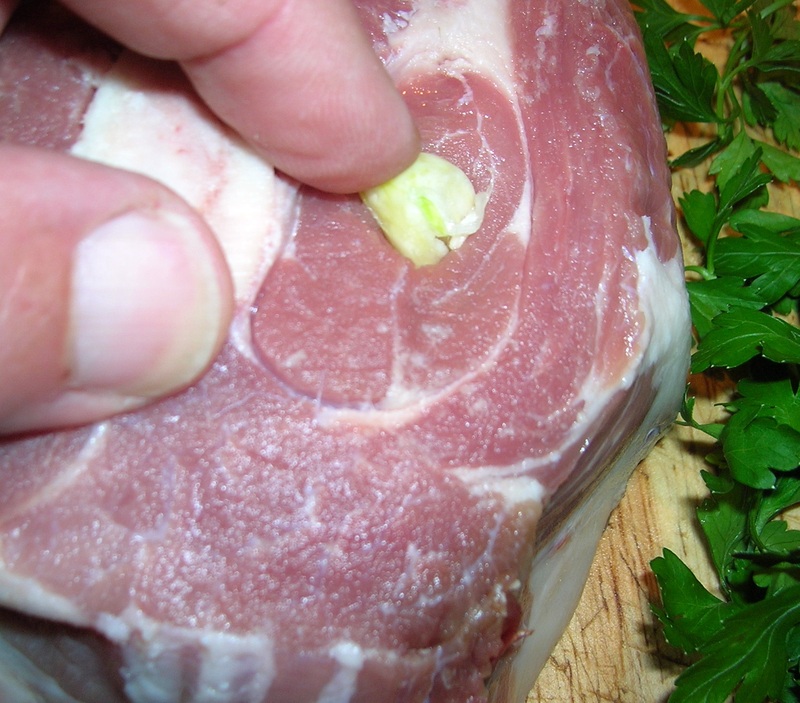 Push a piece of garlic into the hole with your finger. Push on top of the garlic a few leaves of fresh parsley. Make these holes about 4 inches apart all around the pork roast filling them with the garlic and parsley. If a clove of garlic is too large cut it in half. The piece of garlic should be about as large as your thumb nail. 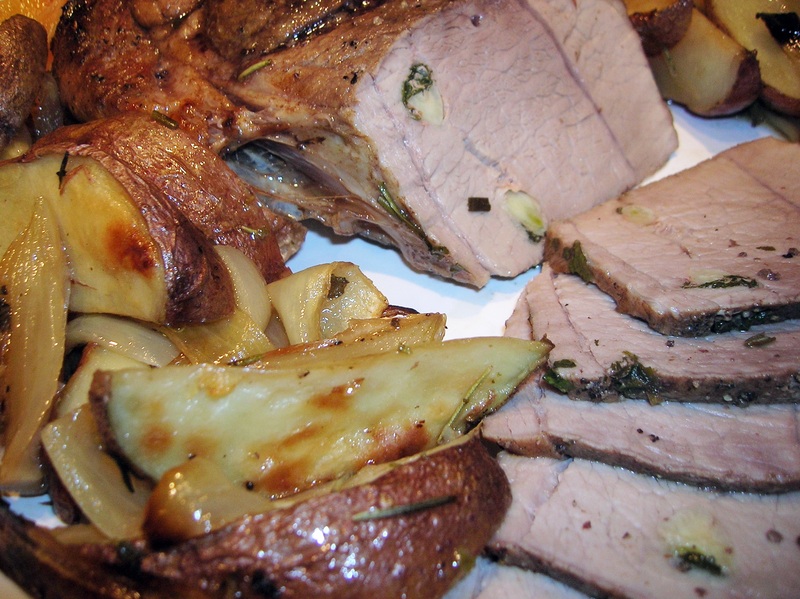 Brush the roast with the balsamic vinegar on all sides. Now brush the roast with the olive oil. Season the roast with salt and pepper. Place the roast in the center of your roasting pan. In a large bowl combine the sliced onion and potato wedges. 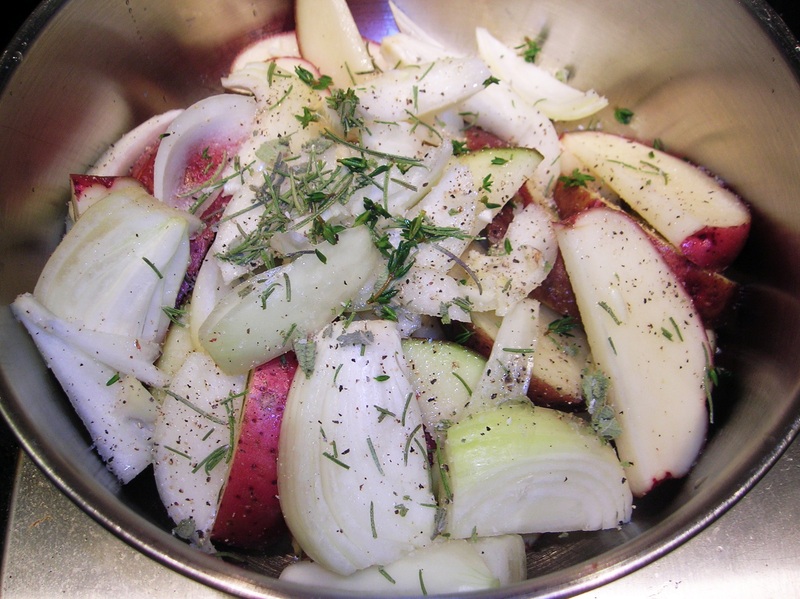 Chop any remaining garlic and add to the potatoes and onions along with the rosemary, thyme and sage. Pour the rest of the olive oil over the mixture and season with salt and pepper. Mix well. 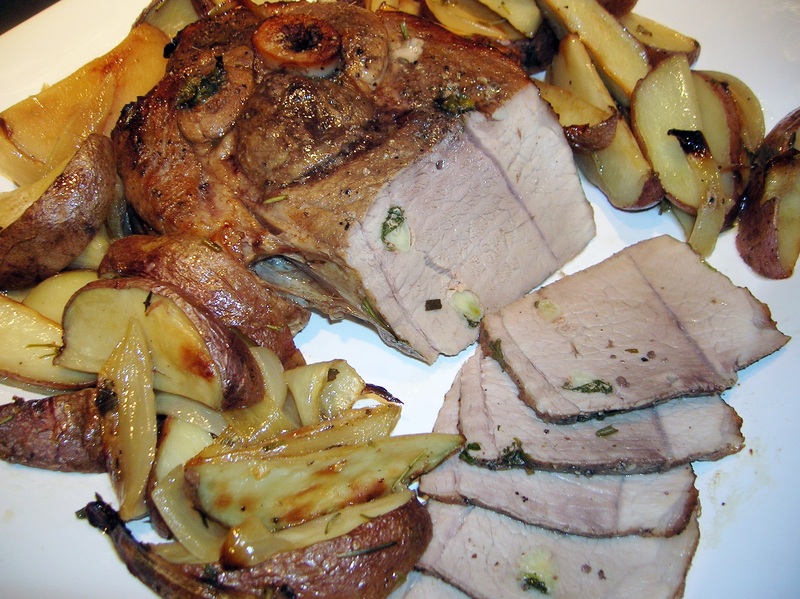 Place the potatoes and onions around the pork roast. Pour the white wine into the roasting pan. Roast in a pre-heated 375 degree oven till the temperature of the pork roast reaches 160 degrees, about 1 hour 15 minutes, depending on the size of your roast. Stir the potatoes and onions once during the cooking time. If the pan becomes dry add a little water. Allow the roast to rest 15 minutes before slicing. Save the reserved pan juices and use as a sauce. 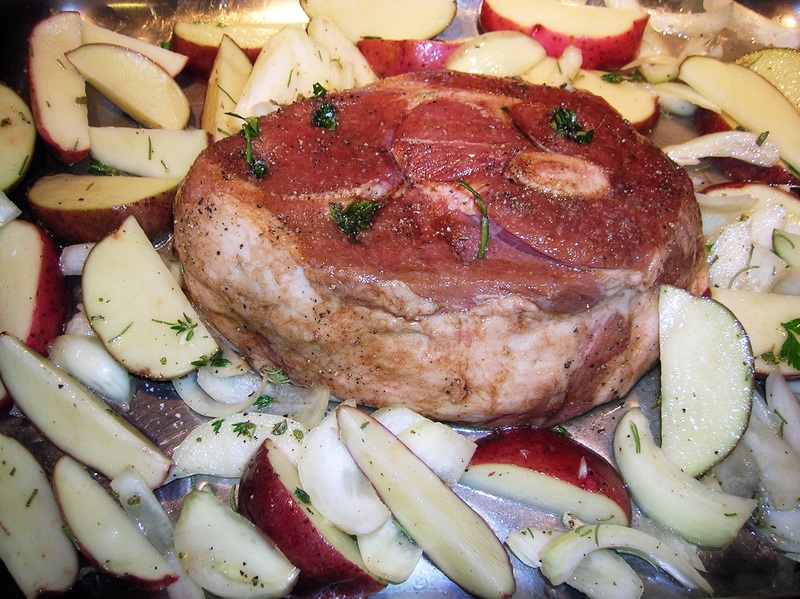 This entry was posted in Pork and tagged pork roast, pork shoulder roast. Bookmark the permalink. I love this recipe and have made it often but now I have 4.4 pound roast so I was trying to figure out the time. I found a recipe that said to cook it for 4 hours at 200 degrees and I was wondering if that would jeopardize your recipe. Any suggestions? Ali, I’m glad you enjoy the recipe. The longer cooking time at the lower temp will not jeopardize anything. 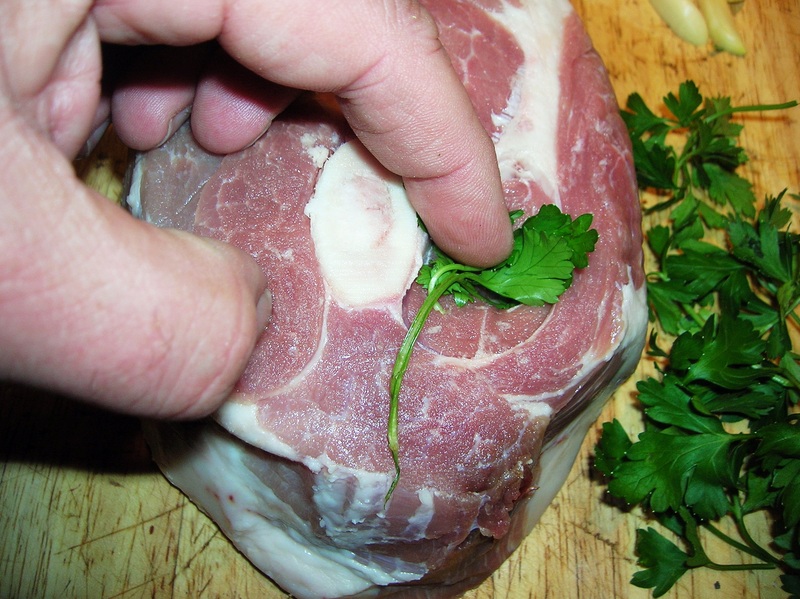 If anything, the longer, lower temperature cooking might even tenderize the meat more. Try it and let me know how it comes out. Cooking is always a work in progress. The roast was delicious as usual, and very well received by my guest. I needed to cook the potatoes longer, but that was not a big deal. Thank you for sharing these delicious recipes with us.